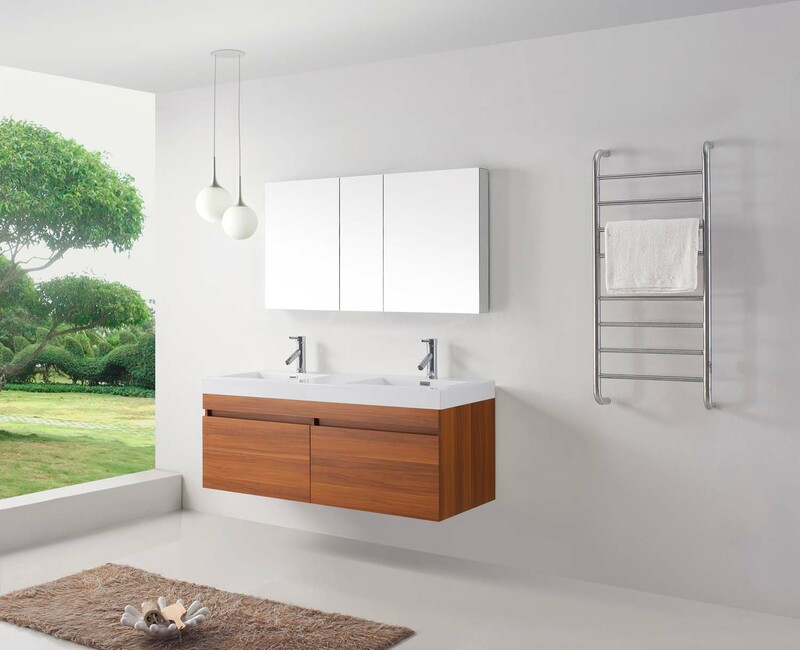 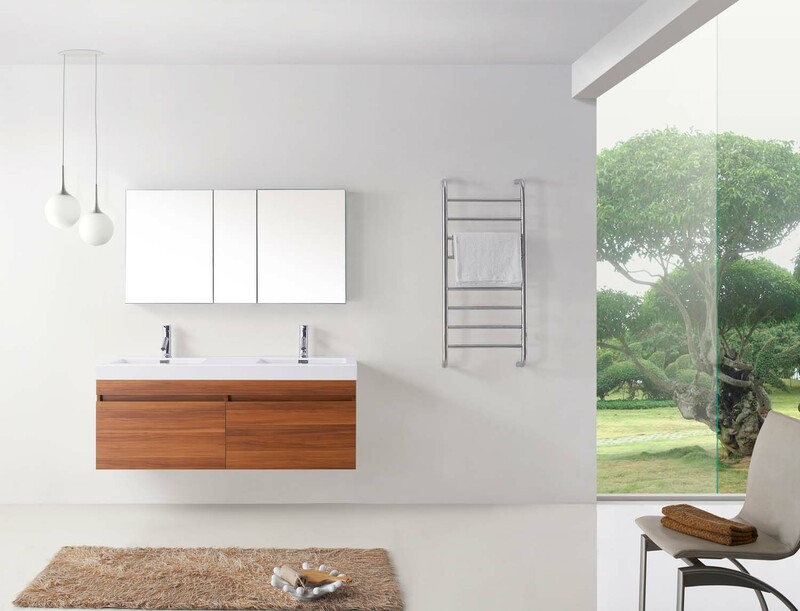 The beautifully rich Plum finish with a natural wood look gives the 55" Zuri Double Sink Vanity an ultra-modern style that will give off an inviting vibe for your bathroom. 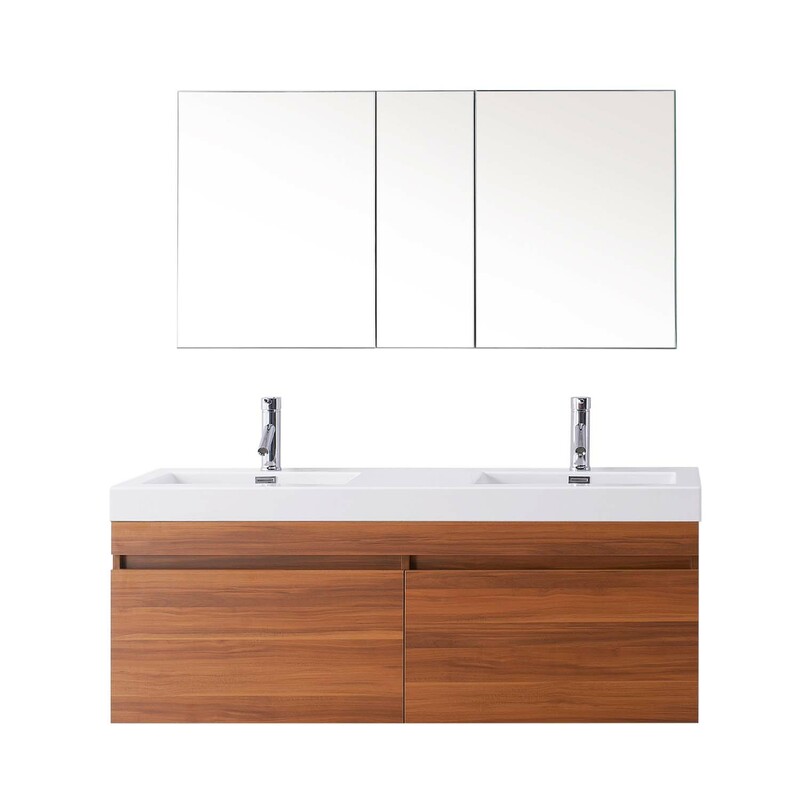 This vanity boasts a wall-mounted cabinet with two pull-out drawers that are equipped with soft-closing slides. 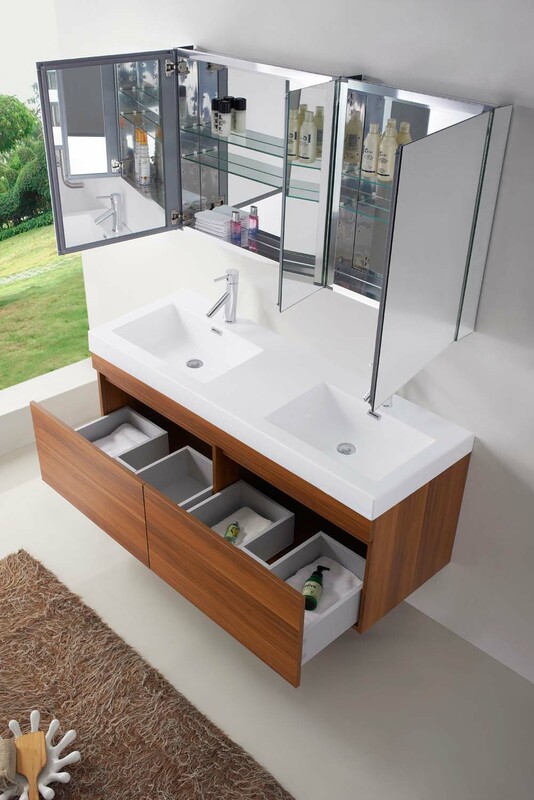 The tops features a cut-out design to make access to the drawers an effortless task. 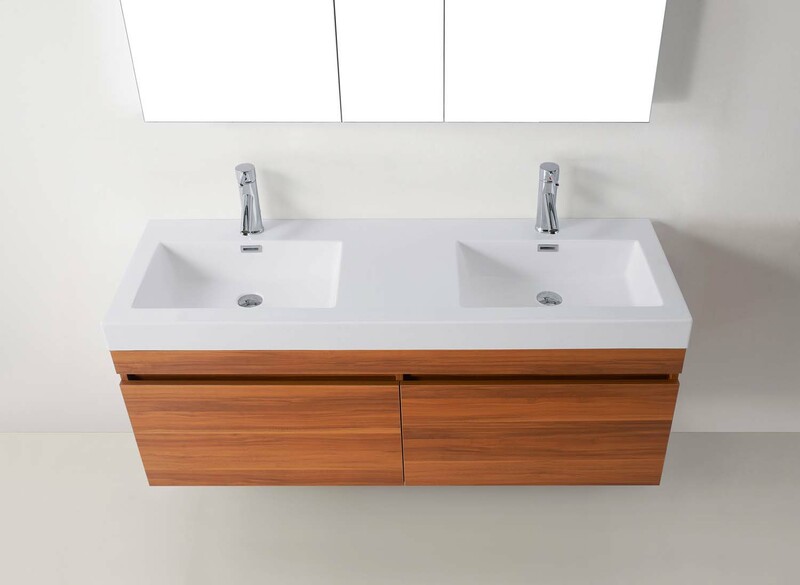 To top it off, a beautiful integrated sink top composed of polymarble give your new vanity a spacious sink that's designed to reduce splashing and give you a maintenance-free vanity!